“Nathaniel Gow’s Dance Band Concert” last night at the Edinburgh Assembly rooms was far, far more exciting, beautiful and moving than I had expected. 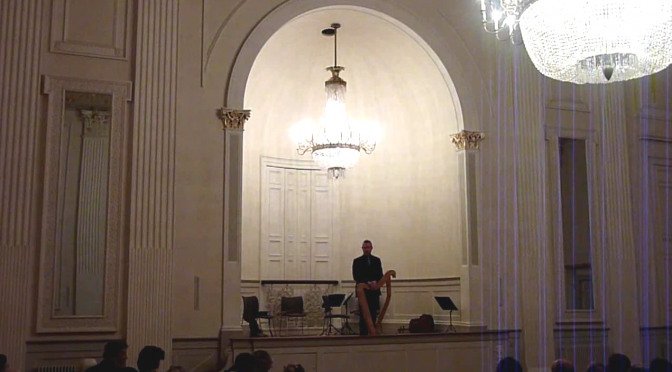 The venue was just stunning, the band was amazing, the dancers were elegant and alluring, the programming was just perfect and the audience was almost full and really engaged with the entire project. 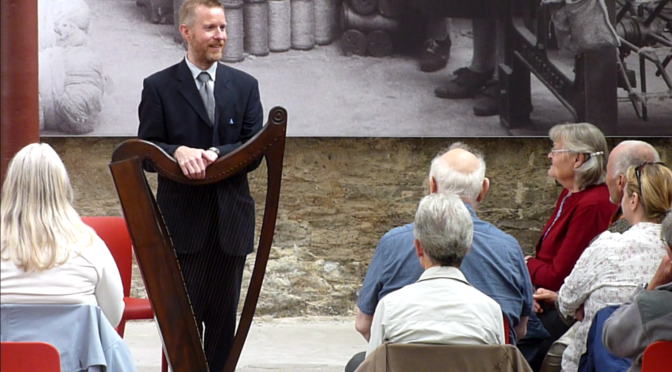 On Friday 20th January, I will be in the Assembly Rooms in Edinburgh, playing as part of a bicentenary concert. 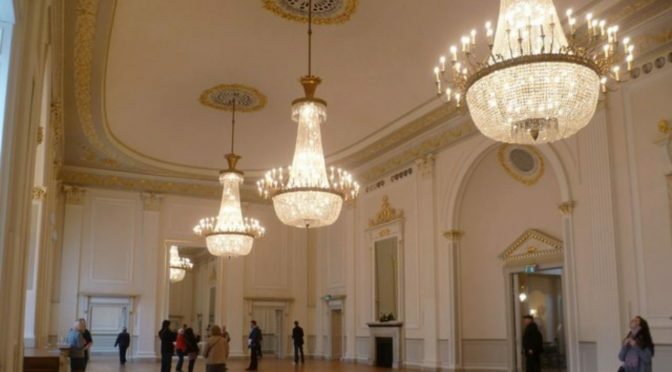 Nathaniel Gow introduced Quadrille dances to Edinburgh in 1817, at his annual ball at the Assembly Rooms, and this year Talitha MacKenzie has organised a series of events commemorating this. 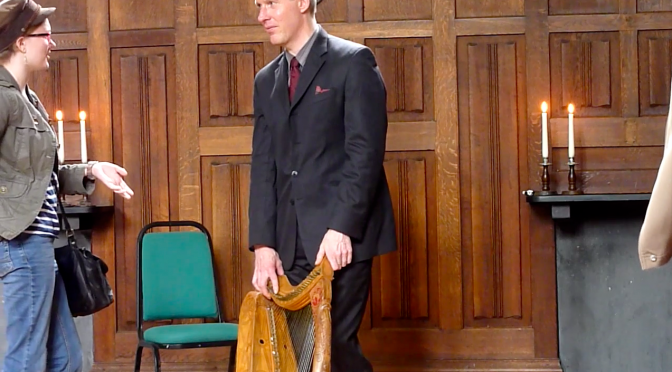 The main event will be a Regency ball on Saturday 11th March, but there will also be dance workshops and the concert on 20th Jan.
Today I presented my concert in St Andrews, “the Memoirs of Arthur Ó Neill”. I read excerpts from his autobiography, and played the tunes referred to in the anecdotes. 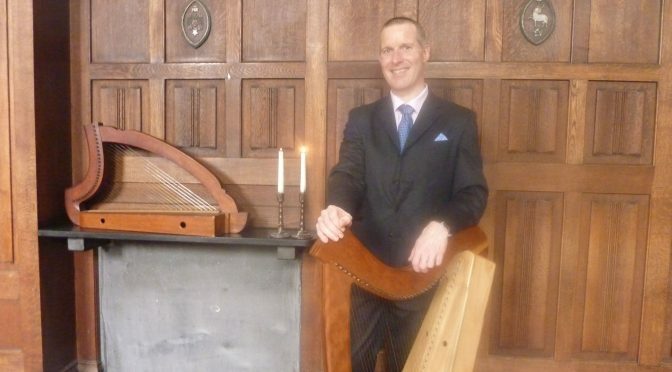 Today in St Andrews I played the second in this summer’s season of medieval harp concerts. 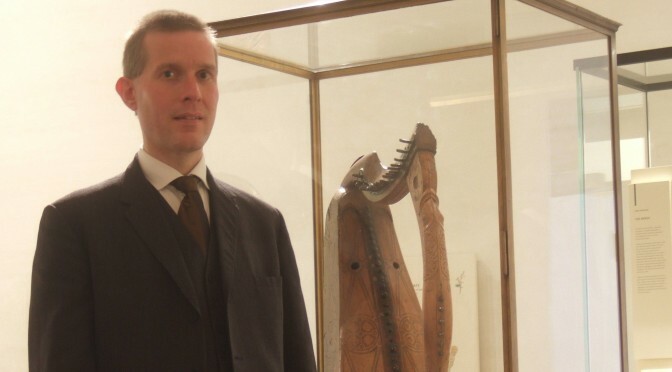 I chose to play the traditional piobaireachd, Cogadh no sith (war or peace), re-imagined as a medieval ceremonial march for the Lords of the Isles. I am working hard this week, preparing for three events in three days. 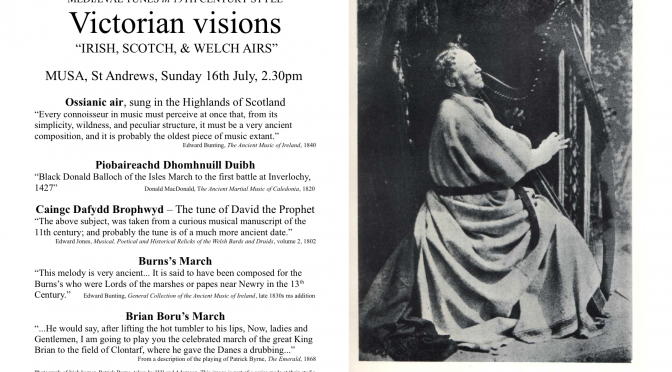 On Saturday I am in Dundee; on Sunday in St Andrews and on Monday in London. 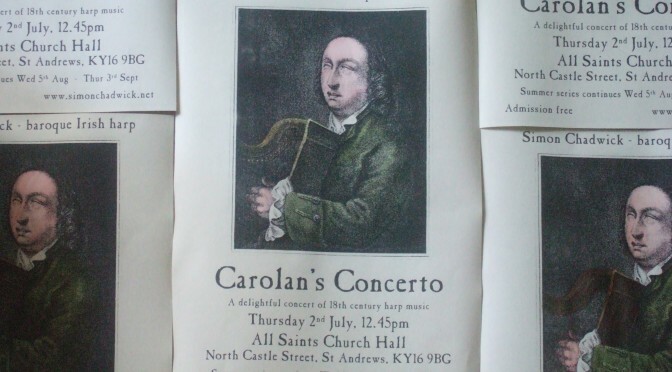 I am preparing for my Carolan concert in a couple of weeks time, and today I made up the posters ready to be put around town. 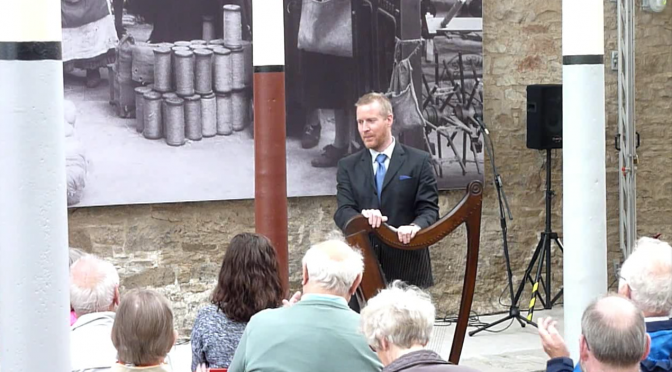 At today’s concert in All Saints Church Hall, I played Cumha Raonuill Mhic Ailein Òig on the fiddle, as part of my new programme “The contest betwixt fiddle & harp”. 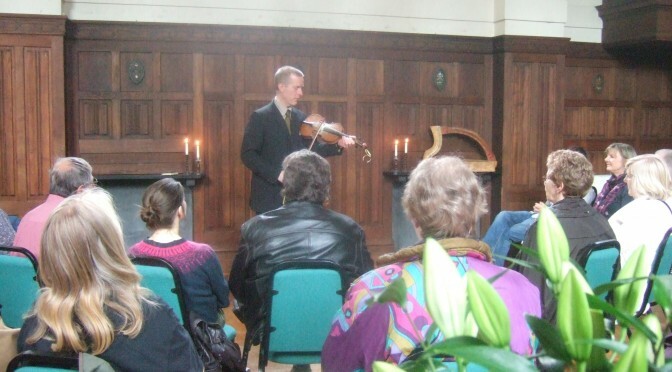 I was very nervous to present the fiddle in public but it seemed to go down very well.